Josh Waitzkin’s approach to learning can be summarized in one sentence: using numbers to leave numbers. To fully understand what he means by that, you’ll need to read the book. That’s ok though, as it’s a gripping narrative told through the lens of a chess prodigy, and world class push hands practitioner. What makes Waitzkin so fascinating is that he achieved mastery in two separate fields , all before he turned 30. This is fascinating because many people will never achieve mastery in a single area in their entire lifetime. 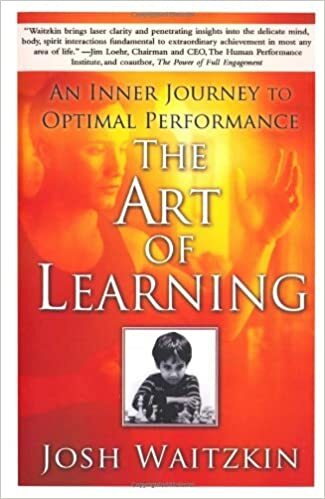 This experience, along with a lasting meditation on the subject of learning, led Waitzkin to write The Art of Learning. It’s informative, interesting, and a profound look at how we learn. Regardless of your age, profession, or what you plan on learning, this is a must read.